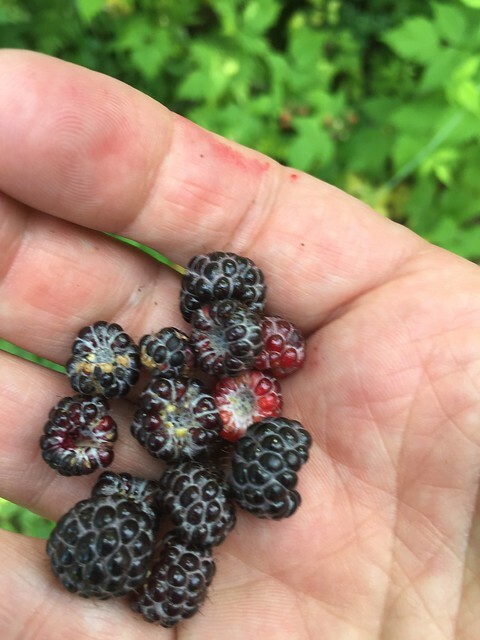 I saw a post from last year about 7/3/16 where I picked blackberries at Schultz beach. So I made a detour on 7/4 to swing by and look again. This represents one of about a dozen handfuls, most of them full of more berries and riper than this handful. I was actually full there were so many to eat. I wondered briefly if you can catch a disease if you eat the wrong blackberry, but then decided I didn't care.